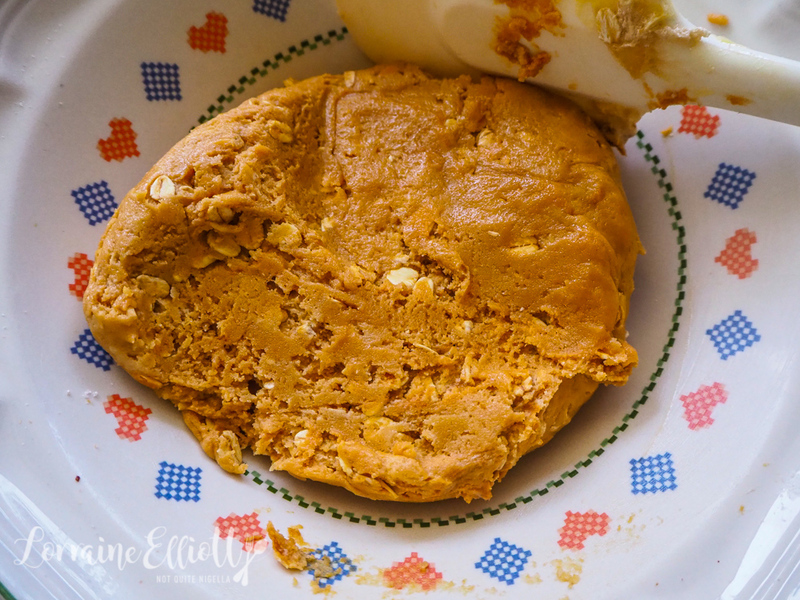 Chewy, Crunchy, Crisp & Soft: 8 Christmas Cookies Using 1 Cookie Recipe! 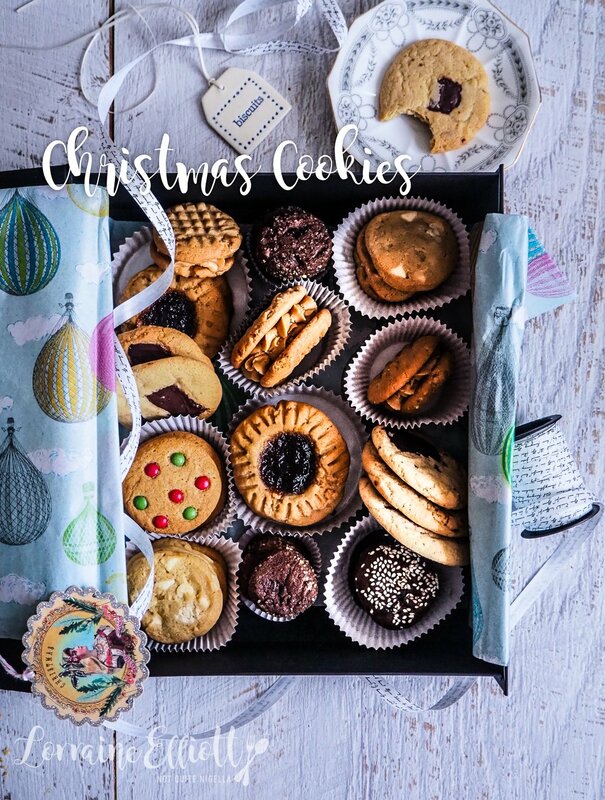 A swoonworthy box of Christmas Cookie goodness is within easy reach Dear Reader! 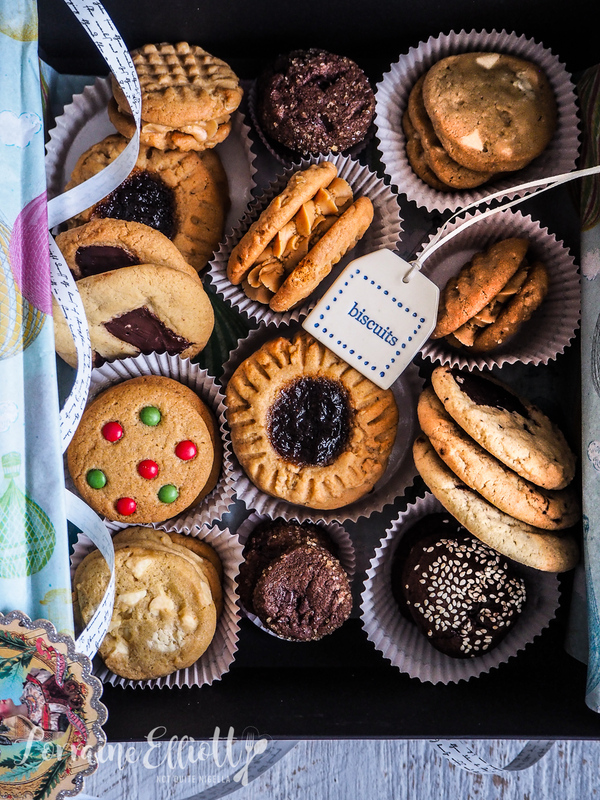 This entire box of Christmas cookies is made with a twist. 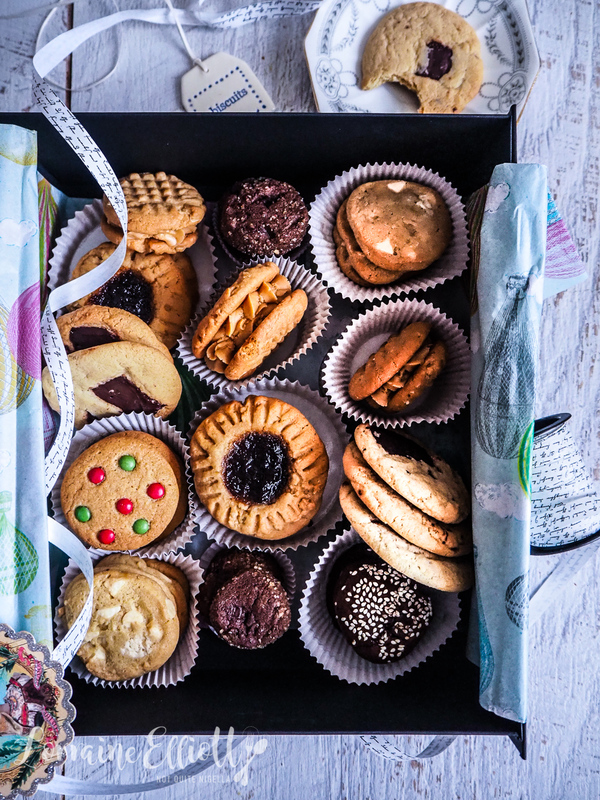 With this recipe you can make 8 delicious cookies with 1 recipe! Whether you love crisp, chewy or soft cookies, there's one for you! 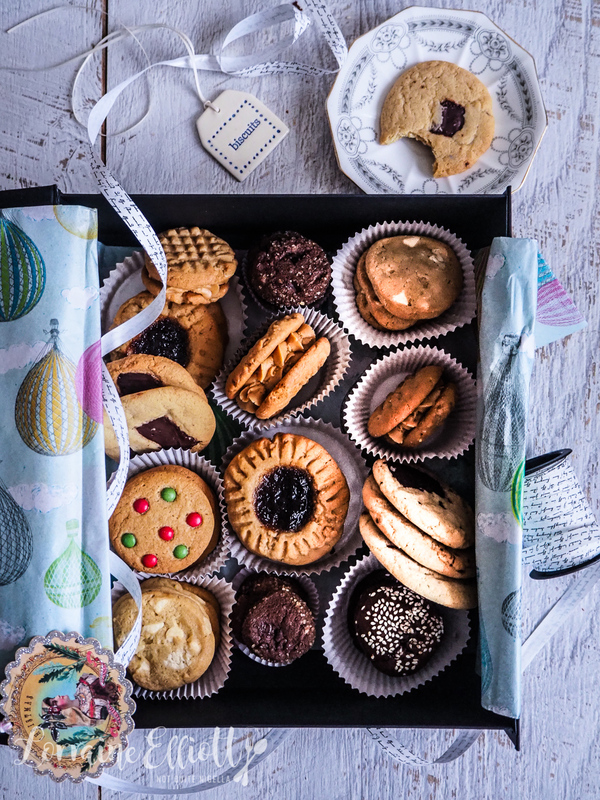 Best of all this whole box (and then some) can baked within a couple of hours. I've had this idea kicking around in my head for a month or so. 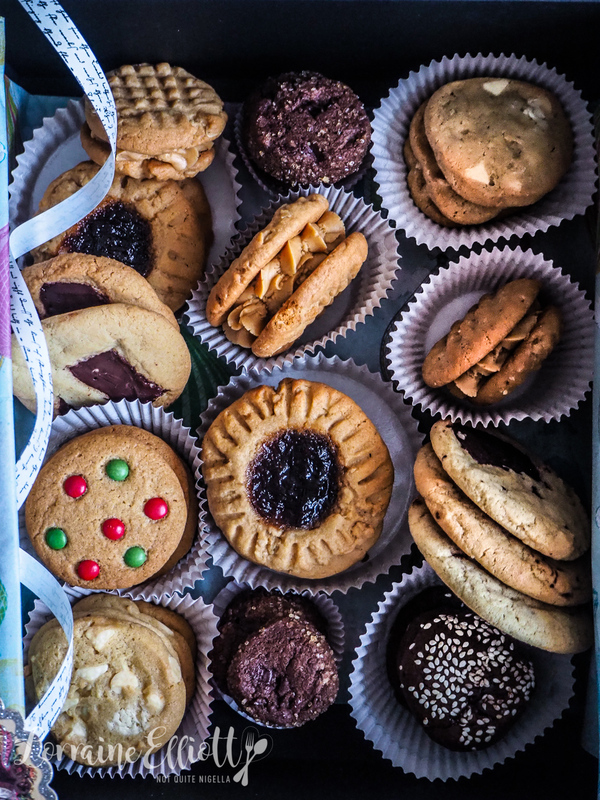 Actually it has probably been longer because every year I want to make one of those lovely cookie boxes full of assorted cookies but every year I get too tired to do so and I make one cookie type and call it a Christmas day. But then I got to thinking. What if I could use one cookie recipe to make a whole range of cookies? Surely it was possible? I suspected it was because I tend to mess with recipes, adding things and flavours when I see fit or where greed or hunger leads me and nothing really terrible ever happens and you sometimes end up with something tasty. So one afternoon I got testing. 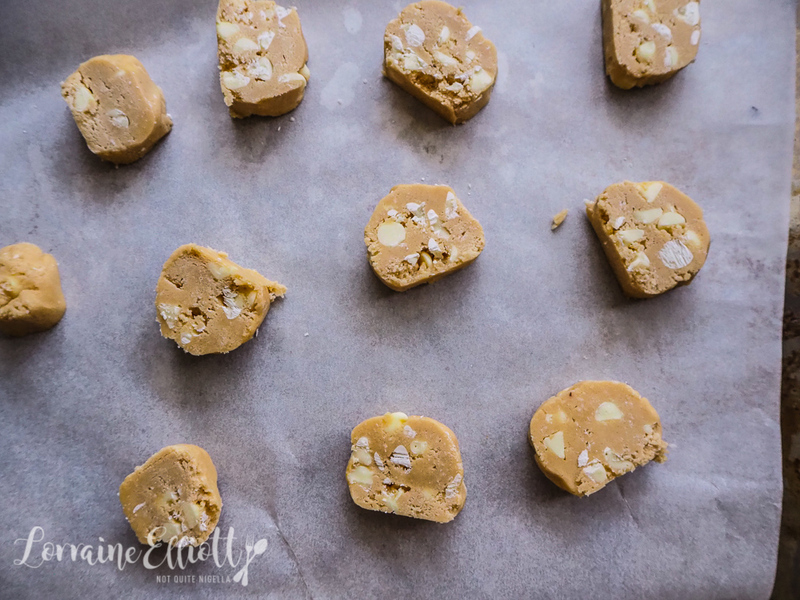 As long as the cookie dough texture is not too wet or dry I think you can add your favourite flavours - I added some sticky peanut butter and to balance this I added some oatmeal which would make it less sticky. 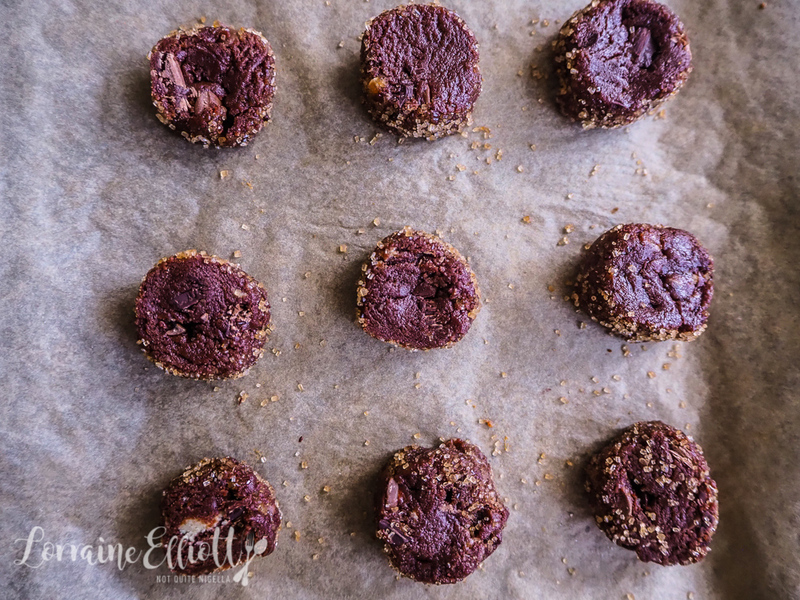 Similarly when I added tahini I balanced it with cocoa powder so that the texture would be pliable and rollable and not too sticky. I was so surprised at how tasty these cookies were and how distinctly different they were too. My favourites were the white chocolate and coconut ones, the pistachio crunch ones and the chocolate chip cookies edged in raw sugar. I gave Mr NQN a box of these to take to work and he was swarmed by his colleagues. The lovely girl that looks after Mochi sometimes ate 10 cookies! He works at a great company full of really lovely people and they were very nice and fast with the feedback. I sometimes wish that I worked with other people. Because I work for myself I don't tend to hold a Christmas party but when I was invited to bring a friend along to a bar to enjoy Sydney's harbour view I asked Nina along as we both work for ourselves. We both got dressed up and had a great night out with our own Christmas party while the boys had their respective Christmas parties. Nina told me that they've been told that Marley their dog is overweight. And it's not just Marley but Garth too. You see they've been having regular cheesy crackers and cocktails after work and the result is that Garth now needs new pants. So tell me Dear Reader, what sort of cookies do you like the best-crisp, chewy or soft? And which cookie do you like the sound of the most? Will you be baking Christmas cookies? And would you buy new pants or would you lose the weight if you were in that situation? 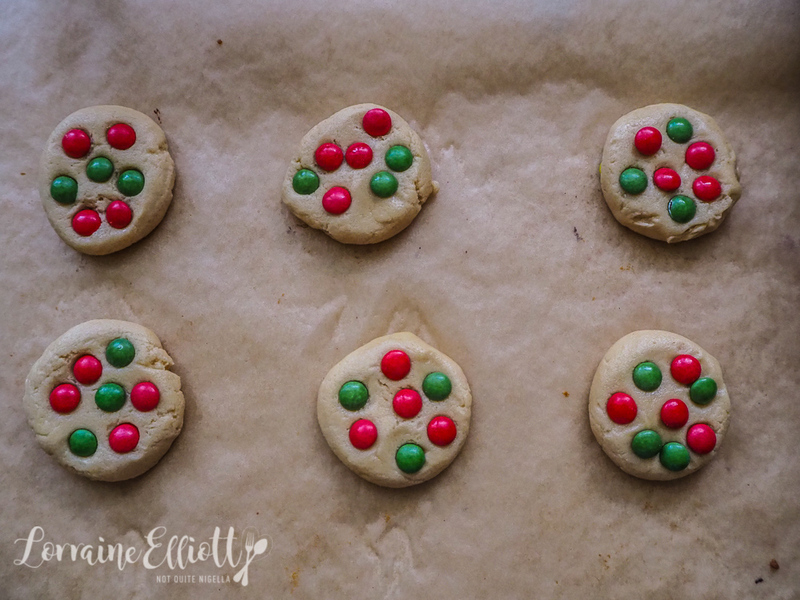 8 Christmas Cookies Using 1 Cookie Recipe! Step 1 - Beat the butter and two sugars together for 3-4 minutes until it becomes pale in colour. Add the eggs, one at a time and the vanilla. On low speed add the flour, bicarb and salt and mix until it becomes a dough (do not overmix). Step 2 - Divide the dough into 250g/8.8oz portions. You should have enough to make 6 portions of 250g/8.8oz of dough. What I did was make smaller half lots of some of them so that I would have 8 types of cookies. Add 175g of milk or dark (or do half half) chocolate chips to the 250g dough and mix. 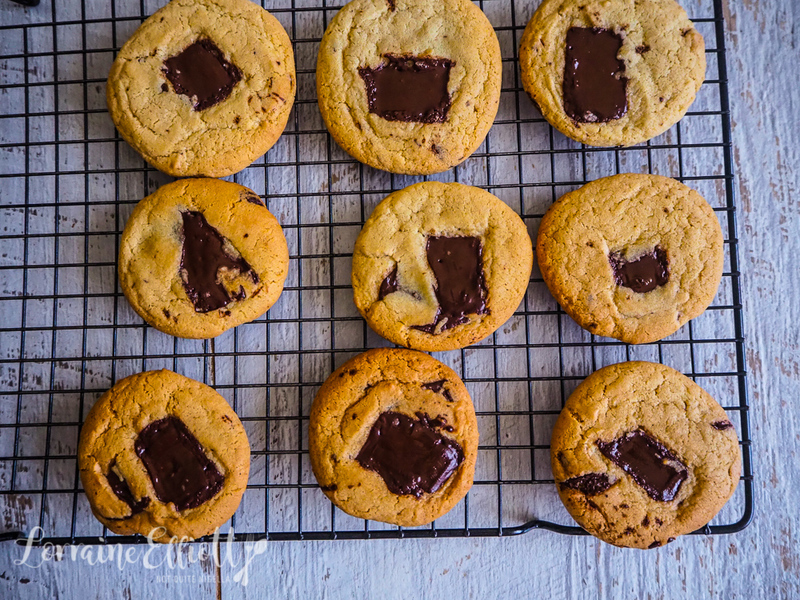 Use a small ice cream scoop to portion cookies and place 5cm/2 inches apart on a cookie sheet. Bake at 180C/350F for 8-10 minutes. Add 125g/4ozs. 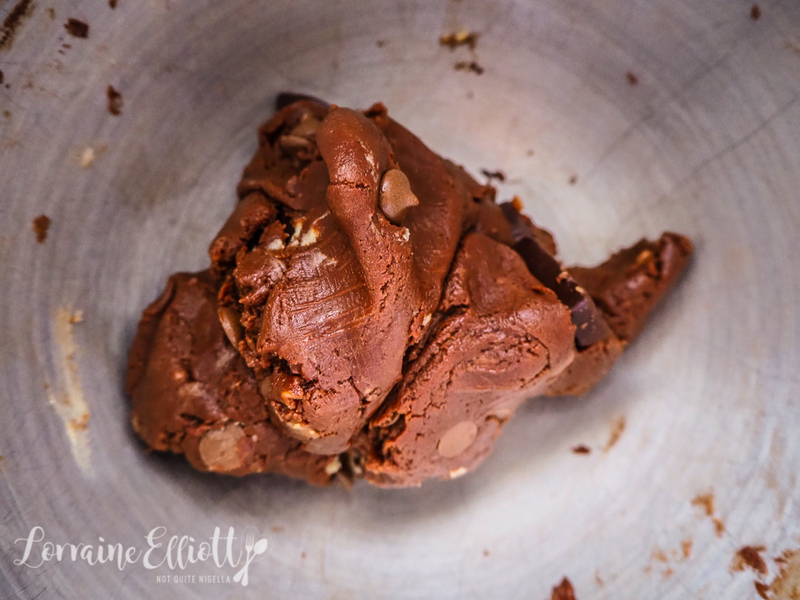 of milk chocolate chips to the 250g dough along with 1/2 cup of cocoa powder and add 1.5 tablespoons of tahini. Shape into small balls and roll in 2 tablespoons of sesame seeds. Place 5cm/2 inches apart on a cookie sheet. Bake at 180C/350F for 8-10 minutes. 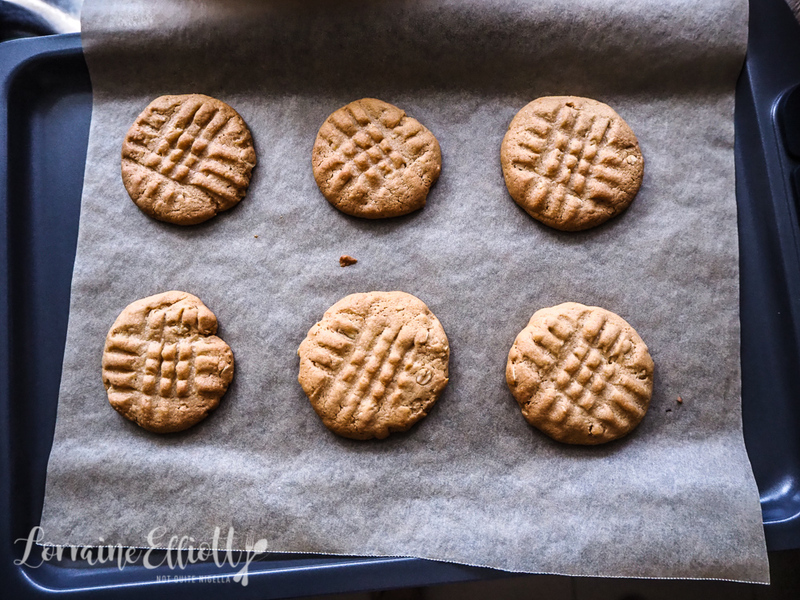 Add 1/3 cup of rolled oats, 2 tablespoons of peanut butter and a fat pinch of salt to the 250g of dough. Divide this dough in half. You'll use half of this to make these cookies and the other half to make the PB&J cookies below. Roll out into small, flat cookies and flatten gently. Use a flour dipped fork to make a hatch pattern. Bake at 200C/400F for 9-12 minutes or until firm and crispy. Match like sizes together. 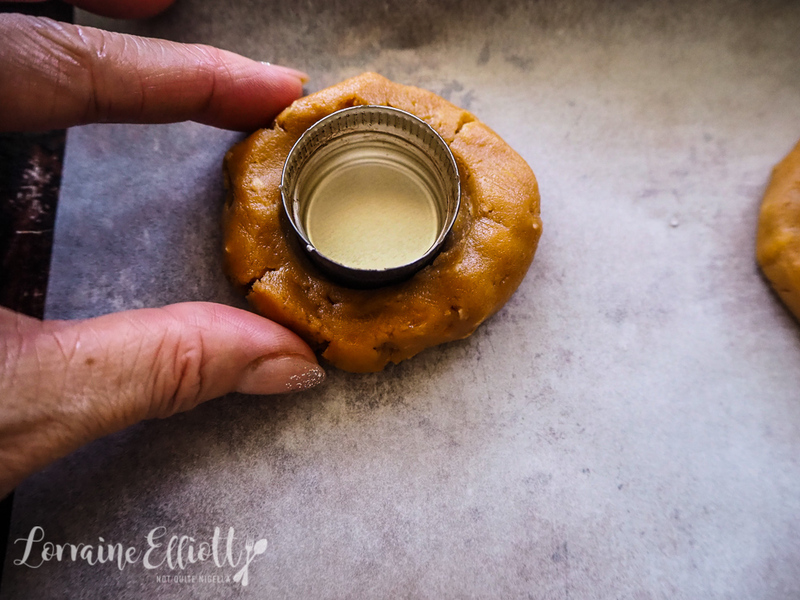 Make the peanut buttercream filling by processing 60g/2ozs. of soft butter, 60g/2ozs. of peanut butter and 1 cup of sifted icing sugar in a food processor. Fill a piping bag with a large star tip and pipe onto one half of the cookies and sandwich together. Use the peanut butter and oatmeal dough above. Roll out balls of cookie dough and flatten. Use the lid of a wine bottle and press out round depressions in the centre and use a fork to make patterns around the outside. Fill with strawberry jam. Bake at 200C/400F for 10-14 minutes or until firm and crispy (these can be soft if not baked long enough). Mix 2/3 cup of white chocolate chips and 2 tablespoons desiccated coconut with 250g of the cookie dough. Shape into a log around 5cm/2inches in diameter and freeze until firm. Slice rounds and place on a baking tray an inch apart (they won't spread that much) and bake at 180C/350F for 12 minutes or until golden and set. I made a half batch of these. Add 1/4 cup of cocoa powder and 50g/1.7ozs. of milk chocolate chips to 125g of the original cookie dough. 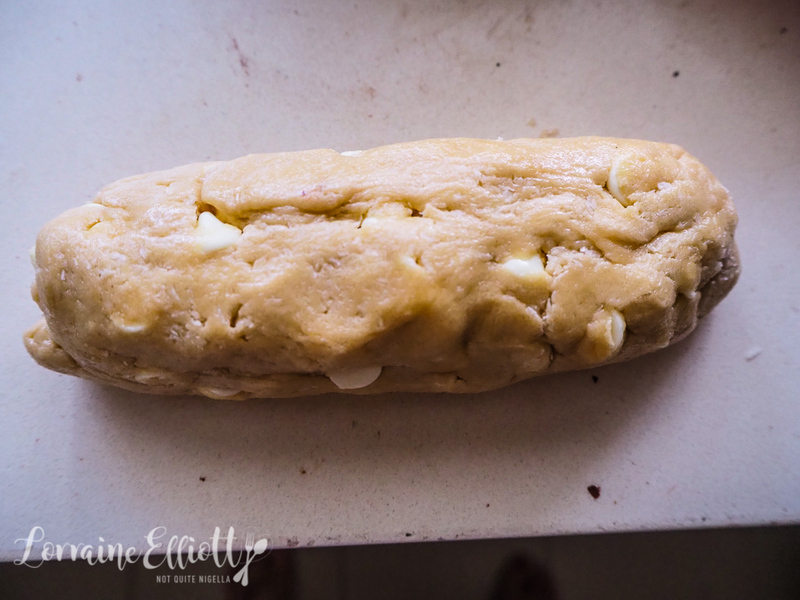 Knead and then shape into a log shape around 4cm/1.6inches in diameter. Place 1/4 cup of raw sugar on a plate and roll the cookie dough roll in this, coating the outside well with sugar. Place the cookie dough roll in the freezer until firm. Cut into slices and bake at 180C/350F for 8-10 minutes. Mix 1/2 teaspoon gingerbread spices with original cookie dough and make into small rounds (I made these quite small as kids cookies). Press red and green m&m's or smarties on top. Bake at 180C/350F for 8-9 minutes. I made a half batch of these but I wish I had made a full. Mix half a batch or 125g/4ozs of batter with 1/4 cup finely chopped pistachios and 2 tablespoons raw sugar. Place 1/4 cup raw sugar on a small plate. Shape into small balls and dredge both sides in the raw sugar. Bake at 180C/350F for 10 minutes or until crisp. recipeFleece Navidad: Christmas Sweater Cookies! recipeChristmas Isn't Complete Without These Linzer Cookies! featureSurprise Candy Christmas Gift Cookies! recipeThe Softest Passionfruit Melting Moments That Will Melt In Your Mouth! recipeChocolate Chip Crinkle Cookies for Santa! recipe Fleece Navidad: Christmas Sweater Cookies! 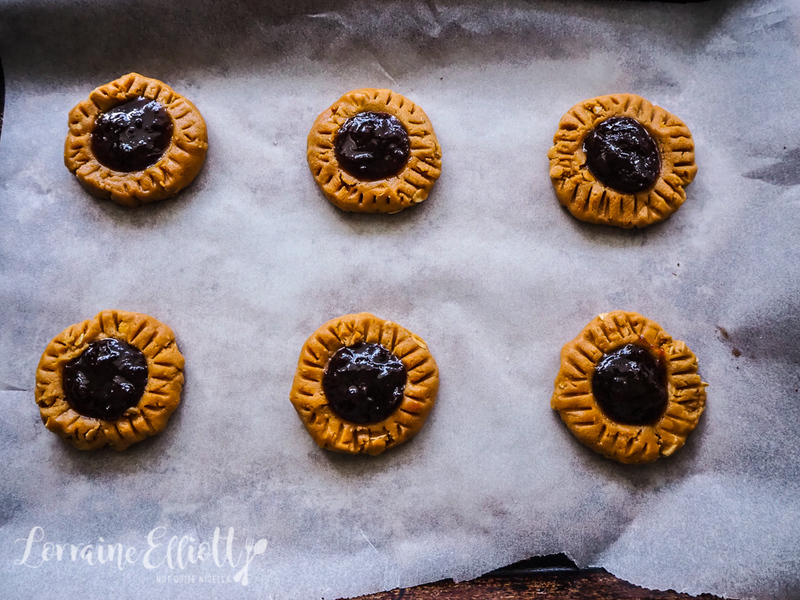 recipe Christmas Isn't Complete Without These Linzer Cookies! feature Surprise Candy Christmas Gift Cookies! recipe The Softest Passionfruit Melting Moments That Will Melt In Your Mouth! recipe Chocolate Chip Crinkle Cookies for Santa!